Yes, I drive a big truck and tote around a lot of cargo from time to time… but not like this! I ran across this crew on the way from Laredo to El Paso this morning. 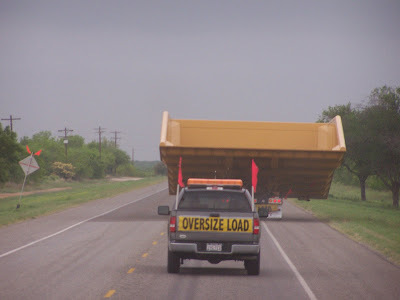 They are taking that huge dump truck part down to someplace in Mexico.